Repeal but Do Not Replace Obamacare! Last year, a man at my local meat market stopped taking his blood pressure medication because he could no longer afford it when his employer switched to a cheaper insurance plan. Obamacare literally priced him out of his life. He died two months later. Now that 2017 is here, and Obama is leaving office, the real stranglehold of Obamacare is hitting the American middleclass with huge cost increases and heavy deductibles. Please President Trump, repeal Obamacare, but do not add another boondoggle to our already ridiculously huge government. NO REPLACEMENT OF OBAMACARE IS NECESSARY! What is wrong with allowing the free market to handle healthcare? Past major laws and other policies implemented by the Federal and state governments have interfered with the health care marketplace to the point where our people are not only suffering, but dying. Is that the intent? Nearly every law regarding healthcare that has been passed since the early 1900s should be repealed, not just Obamacare! If Obamacare is allowed to stand – and the purchase of government-endorsed health insurance remains compulsory – there will be no meaningful limit on Washington’s reach into the lives of the American people. That is certainly not what the Founders intended, and neither is it liberty, freedom or free enterprise. 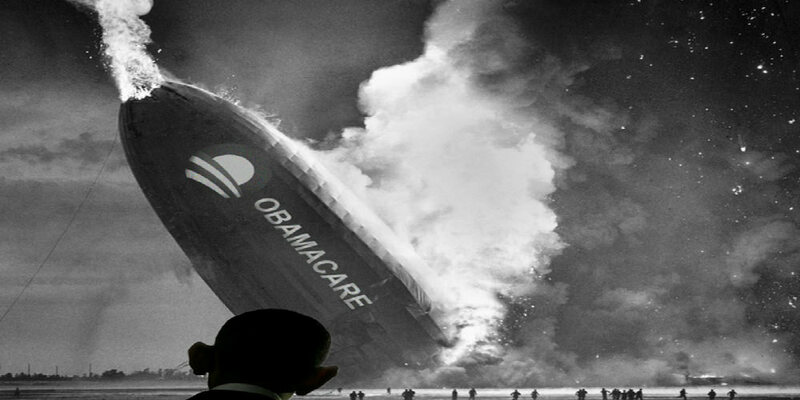 Is Any of Obamacare Good? President Trump has rightly stated that competition across state lines would create more competitive insurance markets, and that pre-existing conditions should not disqualify care under new health plans. But why are we allowing young people to be carried on their parents’ insurance until age 26? The percentage of youth who actually become ill between college graduation and age 26 is so miniscule as to be almost unchartable. Most young people don’t need much care. Lots of younger men don’t even bother with annual checkups, and many don’t do more than that — and it’s not just because they think they’re invincible. Young women are more likely to see a doctor at least once, and the yearly exam can cost up to $500. But even with what you might shell out for birth control, it can still be cheaper than the total cost of insurance — which may not cover the doctor you want to see, anyway. So why not find a doctor you like and pay in cash for simple, one-office treatments? How much have our insurance rates gone up simply because parents across the country are now insuring their children until age 26? And the big question…why aren’t these young people responsible for themselves? Between 1983 and 1992, health care costs rose almost 10% annually. Prescription drug costs rose 12.1 percent a year. Home health care prices increased 18.3 percent annually. (Perhaps there were only 10 to 15 million illegal aliens in our country 30 odd years ago, but I believe we’re at 50 to 60 million today). Congress expanded Medicaid to include illegal immigrants, children (through CHIP, Children’s Medicaid), and pregnant women. Because of the U.S. Emergency Medical Treatment and Active Labor Act of 1986 (42 U.S.C. ), most hospitals may not refuse anyone treatment for an emergency medical condition because of citizenship (illegal aliens), legal status, or ability to pay. An example of the cost conflict between federal government, state and local government, and private institutions, is that the Immigration and Naturalization Service (INS) brings injured and ill illegal aliens to hospital emergency rooms, but does not pay for their medical care. Almost $190 million, or about 25 percent, of the uncompensated costs Southwest border county hospitals incurred, resulted from emergency medical treatment provided to illegal immigrants. Anchor baby births alone have cost Americans billions of dollars each year. Breitbart documents that one is born every 93 seconds. Medicaid alone paid $2.2 billion last year to partially reimburse hospitals for unpaid illegal alien delivery bills, double estimates from news reports. The amount not reimbursed to hospitals is in the tens of billions. A staggering 84 hospitals in California alone, have been forced to close their doors because of unpaid bills by illegal aliens. Los Angeles emergency rooms are full of illegal aliens. Hospitals which manage to remain open, pass the unpaid costs onto the rest of us, which translates into more out-of-pocket expenses and higher insurance premiums for Americans. In fact, at one hospital in Dallas…Parkland Memorial Hospital (yes, the same hospital where JFK died after his assassination in 1963), a staggering 70% of all babies born are to illegal aliens. Nationally, 400,000 anchor babies a year — 1 in 10 of all births — are illegal alien offspring. If we don’t advertise alcohol or cigarettes, because of their inherent dangers, why are drug companies allowed to advertise, especially when so many deaths occur each year from pharmaceutical drugs? Link When you hear the side effects, why would anyone take those drugs? Since the early 1900s, medical special interests have been lobbying politicians to reduce competition. We know that by the 1980s, the U.S. was restricting the supply of physicians, hospitals, insurance and pharmaceuticals, while subsidizing demand. Free enterprise has given way to government control in “partnership” with a few large or politically well-connected companies. In 1910, under Republican President Taft, limiting healthcare competition was started after the American Medical Association (AMA) lobbied the states to strengthen the regulation of medical licensure and allow their state AMA offices to oversee the closure or merger of nearly half of medical schools and also the reduction of class sizes, controlling supply and demand. In 1912, Teddy Roosevelt ran as an independent progressive candidate, with many liberal reforms, including national health care. Back then however, healthcare was fairly cheap. In 1925, prescription drug monopolies began after the federal government, led by Republican President Calvin Coolidge, started allowing the patenting of drugs. And guess what…these drug monopolies have been promoted by government research and development subsidies targeted to favored pharmaceutical companies. By the 1930s, advances were happening in medicine. The FDR administration pushed for health insurance, and against the advice of insurance professionals, Blue Cross began offering private coverage for hospital care in dozens of states. During the early 1940s, FDR asked for a Bill of Rights which included medical care. Truman later offered a national health program plan, proposing a single system that would include all of American society, but it was denounced by the AMA and was called a Communist plot by a House subcommittee. In 1945, buyer monopolization began after the McCarran-Ferguson Act led by the Roosevelt Administration exempted the business of medical insurance from most federal regulation, including antitrust laws. In 1946, institutional provider monopolization began after favored hospitals received federal subsidies (matching grants and loans) provided under the Hospital Survey and Construction Act passed during the Truman Administration. In 1951, The IRS declared group premiums tax deductible. Employers then started to become the dominant third-party insurance buyer during the Truman Administration. Federal responsibility for the sick and poor was established as a government responsibility in the 1950s rather than a responsibility of families or churches. The price of hospital care doubled. During Lyndon Johnson’s tenure, nationalization of healthcare was started when the democrat house and senate passed his Medicare/Medicaid bills, and we’ve seen massive cost increases every year since. Most of us have paid into Medicare all our lives, it is not an entitlement, neither is Social Security. We paid for it, we want it back! In 1974, The Nixon Administration also strengthened buyer monopolization after the Employee Retirement Income Security Act exempted employee health benefit plans offered by large employers (HMOs) from state regulations and lawsuits (brought by people denied coverage). During President Nixon’s reign, he renamed prepaid group-health-care plans as health maintenance organizations (HMOs), with legislation that provides federal endorsement, certification, and assistance. Back then, congressional Republicans and Democrats agreed that American patients should be forced into managed care; that patients do not know this fact is evidenced by public outrage directed at HMOs instead of Congress, the real culprit…again. Healthcare costs were rising exponentially due to the high Medicare expenditures, expansion of hospital expenses and profits, and changes in medical care including greater use of technology, medications, and conservative approaches to treatment. American medicine was seen as in crisis. Nixon’s plan for national health insurance was rejected. The proliferation of managed-care organizations (MCOs) in general, and HMOs in particular, resulted from the 1965 enactment of Medicare for the elderly and Medicaid for the poor. Literally overnight, on July 1, 1966, millions of Americans lost all financial responsibility for their health-care decisions. Offering so-called “free care” led to predictable results. Because Congress placed no restrictions on benefits and removed all sense of cost-consciousness, health-care use and medical costs skyrocketed. In the 1980s, under Reagan, there was a shift towards privatization and corporatization of healthcare. Medicare shifts to payment by diagnosis (DRG) instead of by treatment. Private plans quickly follow suit, with growing complaints by insurance companies that the traditional fee-for-service method of payment to doctors is being exploited. I can remember when I would go to a physician with a problem, and he could diagnose my symptoms without weeks of various expensive tests. Under President Clinton, health care costs rise at double the rate of inflation throughout the 1990s. During the 2000s, health care costs continue to rise, and Medicare is seen as unsustainable. Physicians have openly stated that Obamacare was never about health care, but about achieving another Progressive goal of massive wealth redistribution. The ultimate objective of the Democratic socialists is to nationalize the entire health care industry of the United States, thus completely taking over one-sixth of the U.S. economy. Their goal all along has been to implement a single-payer system, where the federal government alone collects all fees for health care services, pays all costs, and has complete control. They are using the Marxist Hegelian Dialectic to accomplish exactly that. Prior to Obamacare, most citizens were happy with their healthcare, other than the rapidly escalating costs. Claims that US healthcare is substandard are hogwash. Almost half of those who are now insured are on the Obamacare Medicaid expansion. For an in-depth overview of America’s healthcare, see Discover the Networks, a Guide to the Political Left. Kelleigh Nelson has been researching the Christian right and their connections to the left, the new age, and cults since 1975. Formerly an executive producer for three different national radio talk show hosts, she was adept at finding and scheduling a variety of wonderful guests for her radio hosts.